In early 1811 Carl Maria von Weber met the brilliant clarinettist Heinrich Bärmann in Darmstadt. Their relationship produced the Concertino in E flat major and then the Concertos in F minor and E flat major. 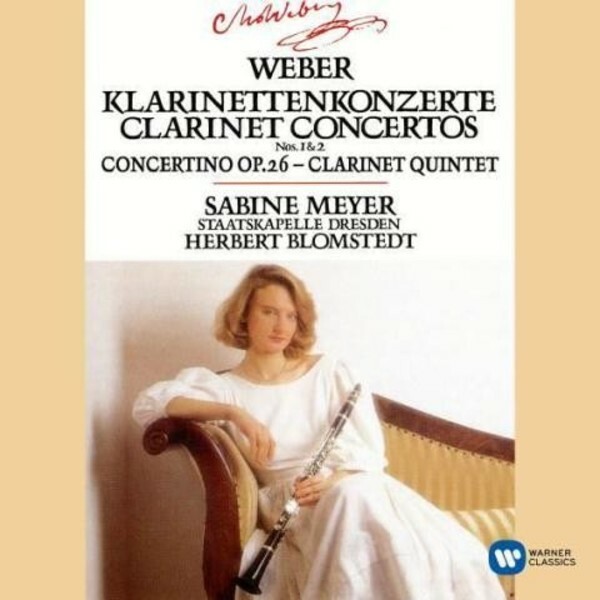 The Clarinet Quintet, a similarly inventive work, was first heard in 1815. Sabine Meyer brings her consummate artistry to all four of these creative, engaging and often dazzling pieces of early Romanticism.